The need for land-based physical infrastructure is one of the Internet’s most significant liabilities. In more developed countries this liability is most pronounced when a natural disaster such as Hurricane Sandy rolls through and rips out the infrastructure. For much of the world, billions of people still don’t have access to the Internet in any way. They are cut off from communication, as well as the storehouse that contains all of humanity’s knowledge (and cat photos). Many of the people who would most benefit from the Internet live in disaster-ridden regions of the world. The places where education could do the most good, get the least information. And to further complicate this, many of the least developed countries are massive, making physical infrastructure insanely difficult to install and maintain. 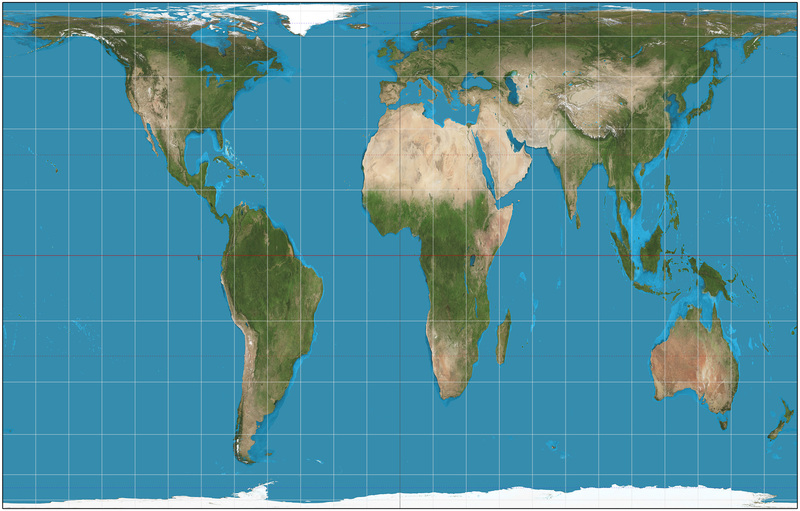 Gall–Peters map projection shows relative size of countries more accurately than the mercator map projections that were used in my school. Africa is huge. The continental US could fit into the Sahara. Wiring that continent up for the Internet is a sisyphean task. The best possible solution at the moment is to forego Earth-based infrastructure, and look to space. 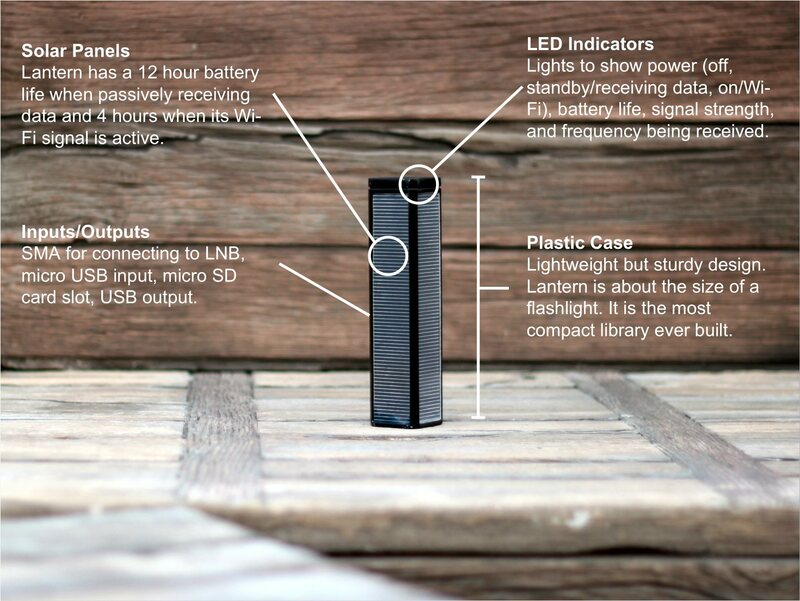 For $100 you can purchase and back Lantern on Indiegogo. This will give you access to information when your infrastructure is wrecked, and will help them further develop their infrastructure so they can deliver more information to the people who have no access. It’s self-powering, and fed information via satellite. 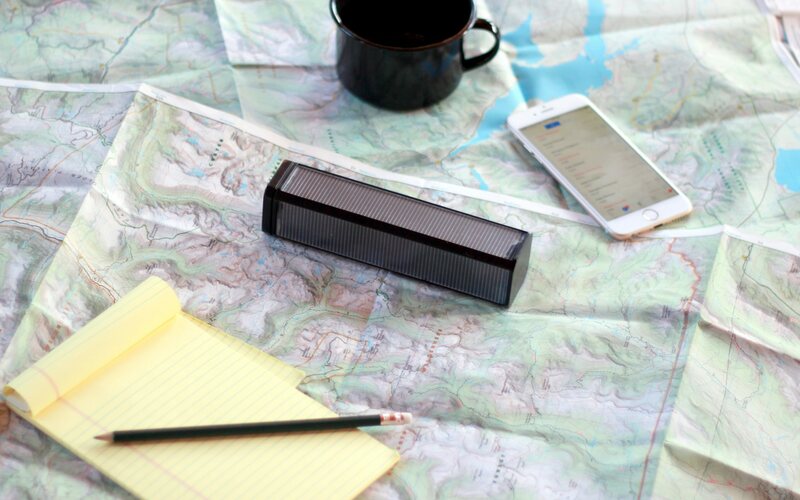 It’s only a receiver, and it can only deliver information that is loaded onto their satellite network, and Lantern users cannot upload content back to the Internet, but it’s a start. Much of my current work is focused on getting information in and out of disaster zones. This kind of technology, while limited today, has the potential to empower people who desperately need to reshape their world. Narrowing humanity’s knowledge and technology gaps are a necessary step towards sustainable peace. 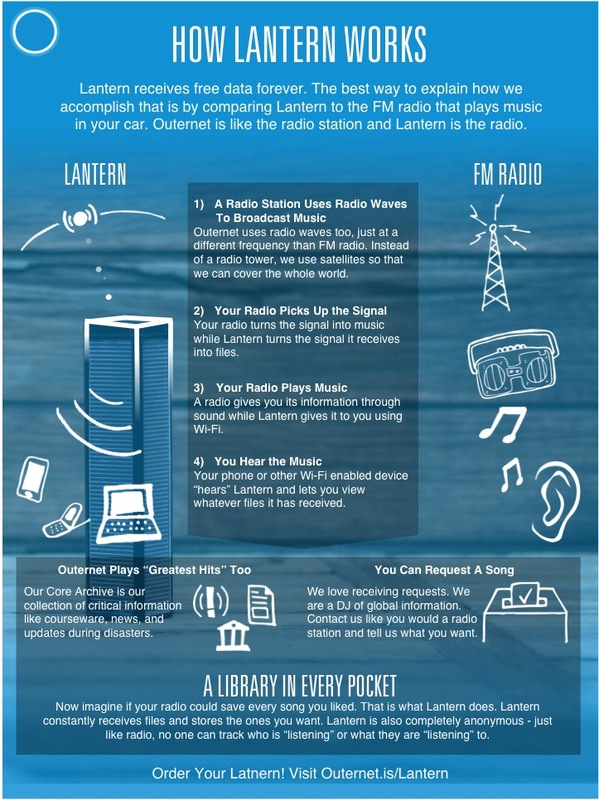 Help Lantern be one of the beacons that the 21st century desperately needs. Don't get enough geeky email?